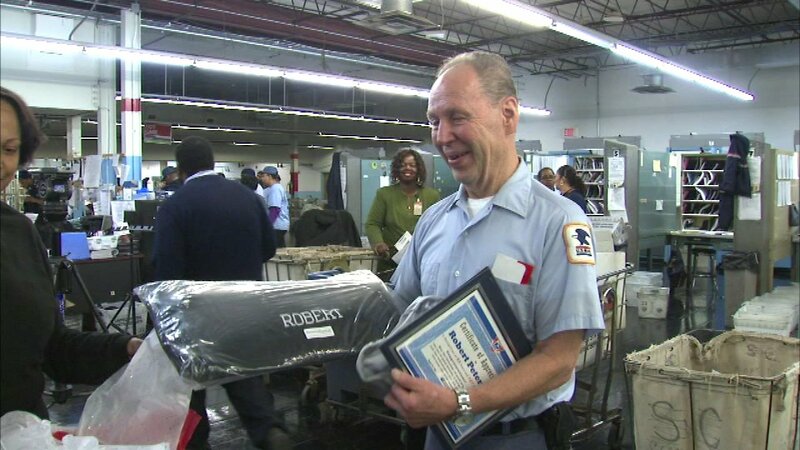 CHICAGO (WLS) -- Three Chicago mailmen are celebrating their retirement after more than 40 years on job each! Robert Peterson, David Carroll and Ronald Newman are all retiring next week. Their postal station in Rogers Park held a ceremony for them Wednesday morning. The three are now working their last holiday season. Peterson has been a letter carrier for 53 years and has made an estimated 7.9 million deliveries.